Just like we have the 4th of July, our Independence Day, Canada has its own day too. 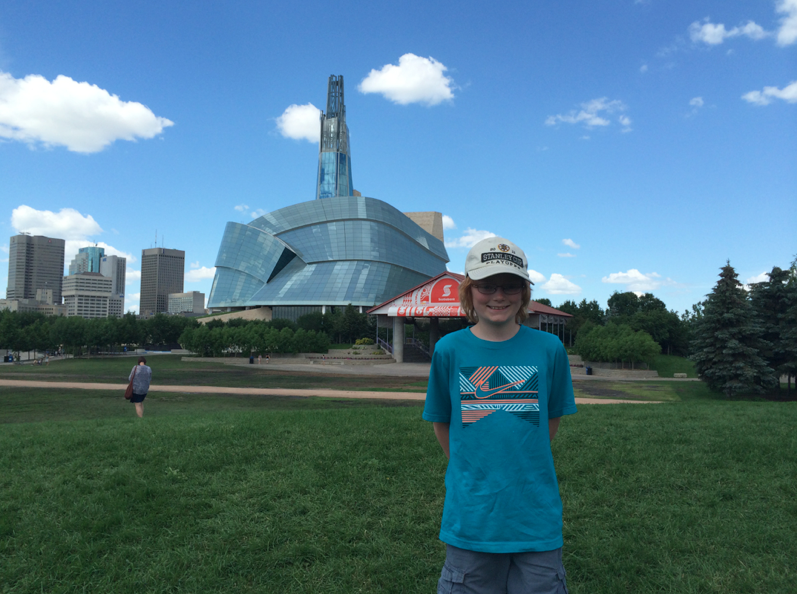 Check out Matthew’s experience celebrating Canada Day and having some other adventures too! The first thing I did this summer was go to Canada to visit my family. While I was there I celebrated my birthday with my Uncle Chris. 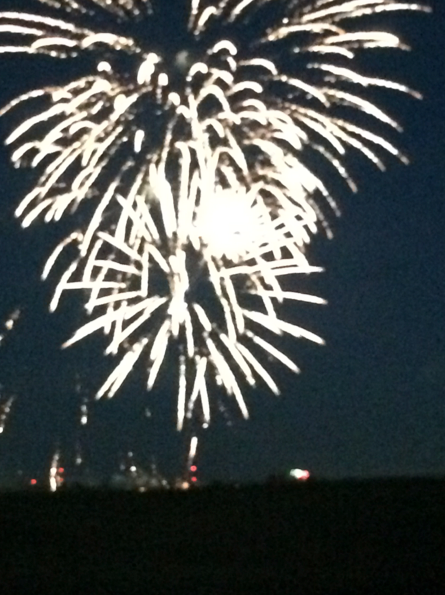 On July 1st, we celebrated Canada day by going to watch fireworks. They were awesome! The next day we went to the Pavilion, which was flooded because of all the rain. 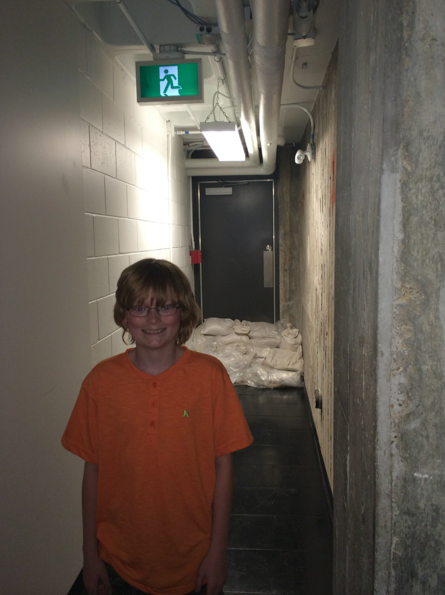 In the basement, there were sandbags by the doors to keep the water out. I saw some interesting buildings, like the Canadian Humanitarian Rights Museum. It has a wall that is curvy and looks like it might fall down. 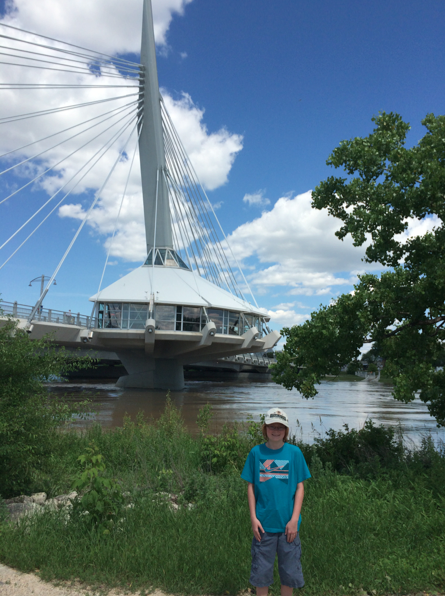 Next we went to the Louis Riel bridge, a suspension bridge that has a restaurant on it! I also went to the museum and went inside a train engine. After that we went to the farm where our family cemetery is and had a picnic. 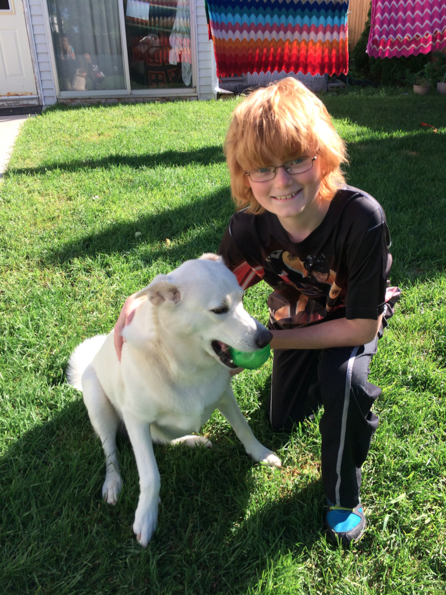 But most of all, I enjoyed visiting my Nanny and playing with her dog, Sasha. I had a dog named Sacha when I was growing up. Where in Canada did you visit? I didn’t know there was a Canada Day! Was the celebration of Canada Day anything like our Independence Day? Did you learn about the history of Canada Day? If so, is it similar or different to America’s history?